Over lunch with four colleagues earlier in the week, a discussion on the recent political events in the country melted into one the new tax framework of the Federal Government, as contained in the recently announced Strategic Revenue Growth Initiatives (SRGIs), an initiative of the Federal Ministry of Finance. It was obvious that the views expressed at the lunch table had been shaped by media headlines announcing a proposed increase in the rate of Value Added Tax (VAT) and the introduction of taxes on luxury items. Two of my colleagues, who obviously had not bothered to read beyond the headlines, expressed opposition to both, arguing that they are not what the country urgently needs. The third person, who once lived abroad, said new taxes and increases in the rates of existing ones, even in places we call â€œsaner climesâ€, are not known to get taxpayers rubbing their hands in glee, a position with which we all agreed. He continued by asking if we thought that oil revenue, on which the government, historically, is almost totally reliant for development, could adequately continue funding development in view of the serious decline in prices of oil in recent years. We all agreed that plummeting oil prices have left the governmentâ€™s financial cupboard almost bare. â€œWhat do you suggest?â€ I asked. His response, measured in tone and delivery, was that the government needs to generate adequate revenue from existing internal sources by being innovative in the mode of collection and seek new revenue sources. He had obviously been following discussions around the Federal Governmentâ€™s new tax blueprint, arguing that for the country to make the type of progress her people desire, this is the way to go. The most progressive societies in the world, he added, are those with efficient and effective systems of taxation, which is the most reliable and sustainable revenue source, not those dependent on resource-based revenues that are famously prone to price shocks. While admitting that concerns about transparency, accountability and judicious use of public revenues cannot be wished away, he advised that Nigerians need to look at the new framework as one with the potential to address instability in public financing and induce greater demand for transparency and accountability. We had to leave the lunch table and head to our respective destinations. On my way, I made a decision to educate myself on the new tax blueprint. I found the keynote address delivered by the Minister of Finance, Mrs. Zainab Ahmed, at the unveiling of the SRGIs on 23 January. It assisted me in situating the position of my colleague, who attempted to lecture us at the lunch table. I saw his point of view and agreed with it. The Finance Minister, at the unveiling, explained that despite the size of the Nigerian economy-Africaâ€™s largest-the country finds it difficult to translate her wealth into revenues, a state of affairs that has had an asphyxiating effect on successive governments. â€œWe have faced difficulty in mobilizing domestic funds necessary for human capital development and infrastructure that are both drivers of sustainable economic growth. Our current revenue to GDP ratio of about 7% is unsatisfactory and we are keen on exerting all efforts in turning this around,â€ the minister observed. With the subsisting financial weather and recent revenue performance, the minister further noted, there is a yawning gap between the target of 15% tax-to-GDP ratio set in the Federal Governmentâ€™s Economic Recovery and Growth Plan (ERGP). The figures are hardly heart-warming. Current contribution between oil and non-oil revenues to oil and non-oil GDP stands at 39%, while that of non-oil revenue to non-oil GDP stands at 4.2%. VAT- to-GDP ratio is a measly 0.8%, a considerable distance from the Economic Community of West African States (ECOWAS) average of 6.7% as at 2015. The countryâ€™s excise revenue contribution of 0.1% is also way below those of skinnier economies of Ghana and Kenya at 1.7% and 2.9% respectively. Nigeriaâ€™s tax-to-GDP ratio of 7%, experts have said, is proof of the countryâ€™s long-standing failure to optimally extract tax revenue from its huge economy. Comparison of Nigeriaâ€™s VAT figures with those of many African countries make for a depressing read. Egypt, for example, has a VAT rate of 10%. South Africa has 14%. Ghana, Zimbabwe, Mauritius and Namibia all have 15%. Tanzania has 18% and Morocco, 20%. Given the figures posted by fellow African countries, the new tax framework, particularly its components such as the proposed increase in the rate of VAT on luxury items, looks well thought out. Fears that the proposed increase in VAT rate carries the possibility of hurting the less privileged, thankfully, have been allayed by the minister, who stated that basic food items and drugs are not among items to be impacted by the new rate, which is expected to come into effect after an envisaged amendment of the VAT legislation by the National Assembly. I have also observed that in discussions around the SRGIs, certain aspects have been glossed over by many commentators. One of these has to do with the governmentâ€™s promise to reduce the tax in some areas, while imposing in others. â€œFor Small and Medium Enterprises, government would reduce taxes. But there are some special taxes that we will be looking at imposing. If you have a private jet, we will be taxing you, specially, for that. If you have a yacht, we will be charging you for that and also in terms of excise duties. There are also some new areas where excise duties will be introduced,â€ the minister said. Apparently on account of the countryâ€™s unimpressive records of announcing big-sounding and noble initiatives without adequate ground-level tactical plan to bring such to fruition, a few people have wondered if the SRGIs will not be thwarted by traditional systemic inefficiency. The fears are not without basis, but the times are changing and are set to change the more. The governmentâ€™s adoption and planned deployment of modern technology to grow revenue base and improve collection methods are likely to address the concerns. In this age of data, the possibility of considerably bigger revenue generation is enhanced. Agencies such as the Nigeria Customs Service, Securities and Exchange Commission, Nigeria Immigration Service, Federal Airports Authority of Nigeria, Corporate Affairs Commission, Central Bank of Nigeria and Land Registries are rich deposits of financial data. And with the plan to improve collaboration among revenue-generating agencies, the opportunities of data and intelligence sharing to make collections more efficient are vast. 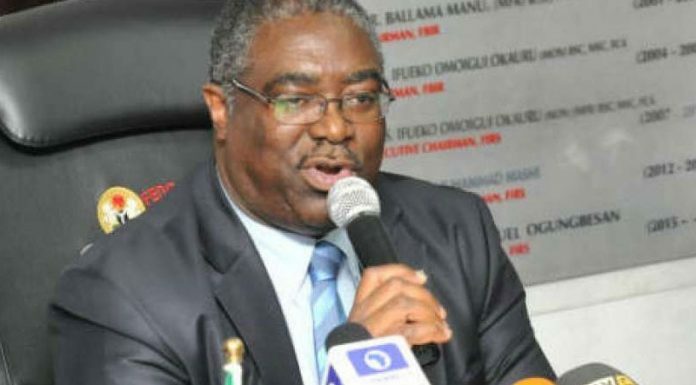 I am impressed by the ministerâ€™s stated desire to champion the digitalization of the revenue collection process, which has brought about improvement, as evidenced by the e-Solutions platform of the Federal Inland Revenue Service (FIRS). The platform has automated the tax process from registration to collection of Tax Clearance Certificate (TCC) as well as collection of Value Added Tax (VAT) in key economic sectors. Digitalization will similarly ensure more efficient tracking of revenue performance on a monthly basis and boost accuracy of historical trends monitoring, which will help in setting targets for major generating bodies as a way of ensuring optimal performance.